How do I know when I should have my indoor air quality tested? I hear a lot about the value of “cleaner” indoor air. But I don’t know if I need a test. And how can I make sure I don’t buy equipment I really don’t need? 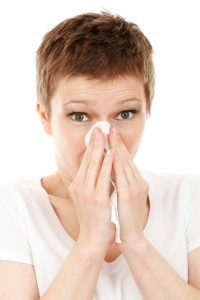 Because you can’t really see many of the ugly side effects associated with “contaminated” indoor air, it’s difficult to know when you need to have a test done. If you or your family members have allergies, get a test. If you take the “ounce of prevention is worth a pound of cure” approach to staying healthy, get a test. But there are other reasons to have your air tested as well. The quality of your home’s air is directly tied to health. It’s natural for allergens, pollutants, dust and other particles to enter the air in our homes. And air circulation or heating/cooling systems can do a lot to filter harmful particles out of the air. But there are many factors that dictate taking extra steps toward purifying your home’s air, beyond relying on the filtration systems included in your heating/cooling system. Taking a close look at your personal or family’s health is one way to determine whether or not you need an indoor air quality (IAQ) test. When these symptoms are ongoing, you may want to examine what’s circulating through your home. And if you find your health deteriorating each winter, shortly after you winter proof your home and turn on your heating system, that may be another signal that it’s time to analyze your air quality. There’s one other way to know you need your ducts cleaned and your air quality tested. Simply look up at your vents (if you have them). If they are dusty inside and out, it’s probably time to take action. This dust is being blasted into your home – and your lungs – each time your home is being heated or cooled! Reduce utility bills by allowing your HVAC systems to work at higher efficiency. Improved whole-house comfort, as rooms will feel more temperate. Peace of mind, knowing that you and your family is breathing in clean, healthy air. Hire a contractor that uses unbiased, third parties to conduct its testing. Independent assessments help guarantee accurate results and trustworthy recommendations. Not a sales pitch for equipment you don’t need from the contractor who will handle equipment sales, installation and service. If your test results indicate a problem, ask your contractor if servicing existing equipment is a viable option vs. buying new equipment. Some HVAC contractors that specialize in IAQ offer service for existing systems in addition to new system sales. Ask for customer testimonials. How many repeat customers does your contractor have? And how many happy buyers evangelize on their behalf? Nine out of 10 homes have a problem with their indoor air quality. Chances are, you can make some improvements. If you’re ready to improve your family’s health, cut utility bills, and feel more comfortable all year round, schedule an unbiased test today. Call Cocalico Plumbing & Heating at 717-738-0760 to learn more.